Seasons 52 Offers a Great Brunch Menu! A Brunch that is Delicious and Refreshing! As you probably know by now, we love a good brunch spot! 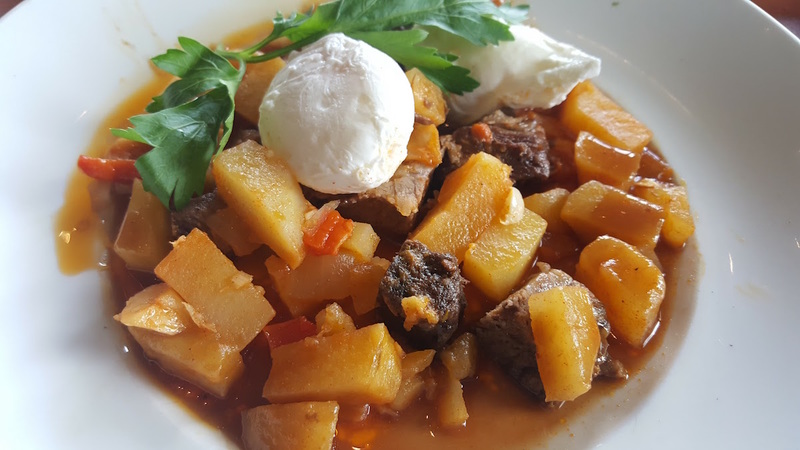 Just in time for summer, Seasons 52 has debuted their new brunch menu! We had the pleasure of stopping in and trying some of the great new items! If you have been to Seasons 52 before you know that they specialize in fresh, light, seasonal dishes that utilize ingredients that are at their peak level of freshness. The brunch menu is no different. We were seated in the front dining area that is lit by walls of windows. The patio also has available seating so you can enjoy an outdoor brunch. The menu was filled with tempting options that made it difficult to decide what to order. Here’s what we decided on. We started off with some coffee and Orange Marmalade Shooters! 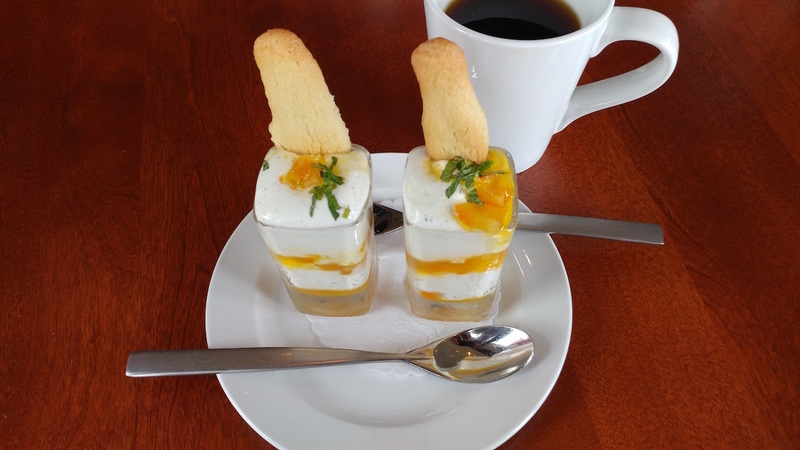 Made with a Greek Yogurt Mousse, House made Orange Marmalade, and topped with a shortbread cookie this dish is so refreshing! It's light and has such a fresh orange flavor. These shooters are a perfect way of priming your palate for what's to come. 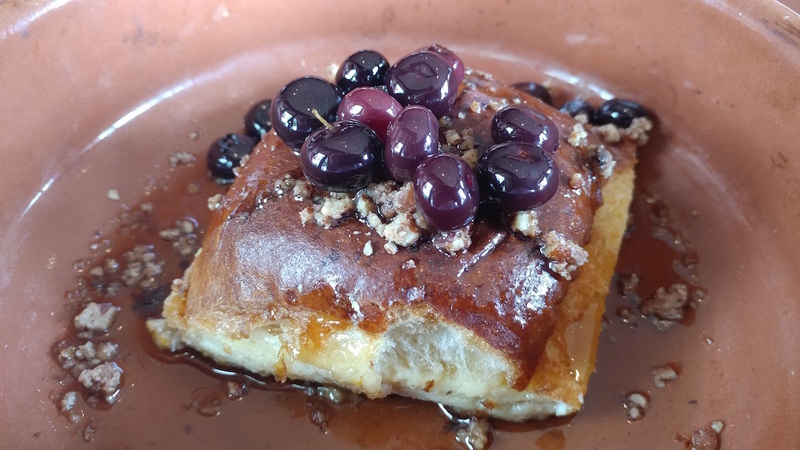 French Toast is always a favorite of ours, but this variation took it up a notch. The warm Brioche Bread is perfect for holding in all the flavor from the blueberry-infused maple syrup. The bread is then topped with fresh blueberries and whiskey-soaked brown sugar pecans. Every bite was delicious! The next dish we tried was the Braised Beef Short Rib Hash. This is a hearty blend of flavorful beef, fresh potatoes, and diced red peppers and onions, soaked in a red wine sauce. As if this wasn't enough, all of this is topped with a fresh poached egg! This dish smells and tastes amazing! 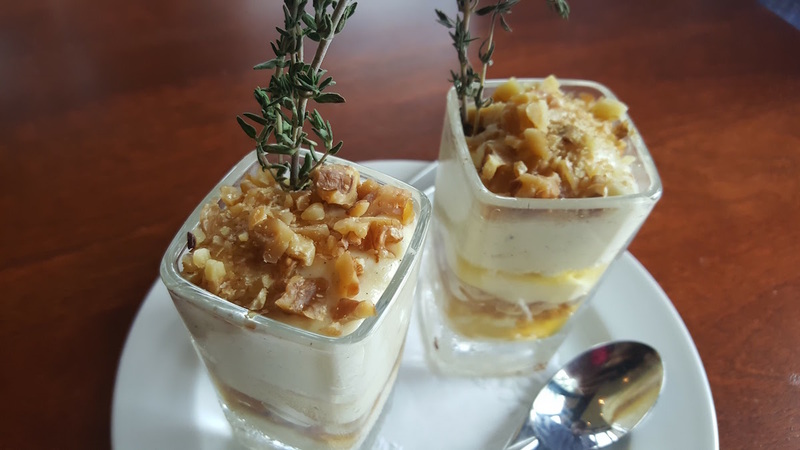 For dessert we enjoyed Cheesecake Shooters made with goat cheese, thyme, and toasted almonds. It brought the brunch full circle. While the shooters are by no means large, they are packed with flavor and are just the right portion to finish off the meal. 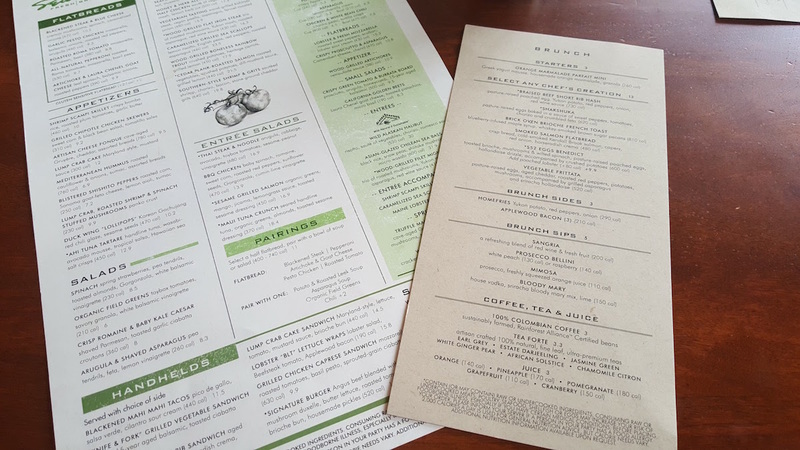 The main thing we noticed about our brunch at Seasons 52 is that each item was fresh and while the portions weren't overwhelming we were full by the end of the meal. We definitely think that you'll enjoy brunching here this spring and summer. 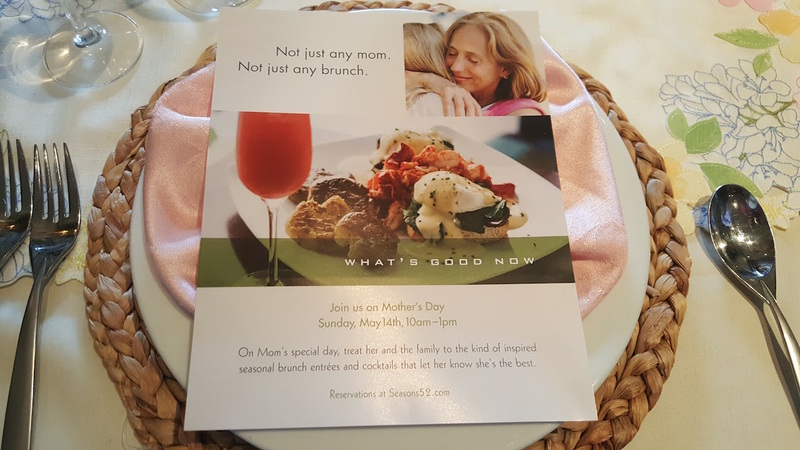 Don't forget that this Mother's Day, Seasons 52 is having a special Brunch! Be sure to call ahead for reservations. 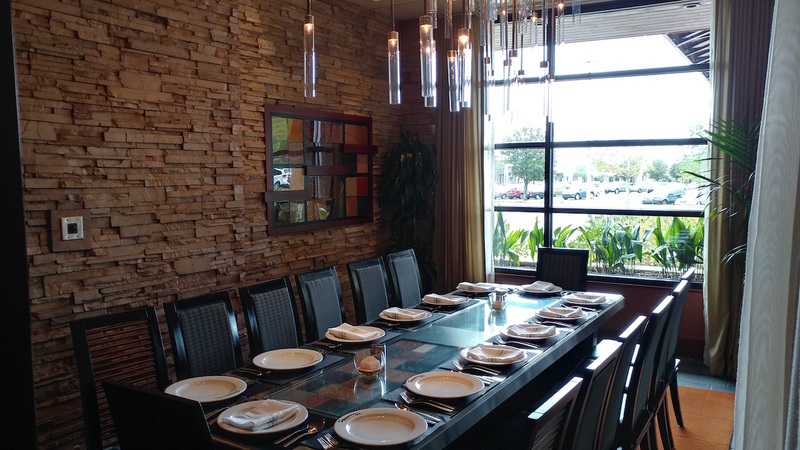 This is the perfect place for a relaxed brunch with mom and the rest of the family!